The Khulna University of Engineering & Technology has an objective of achieving excellence in higher education, research, and development in the field of engineering and technology. This university was founded in 1967 as the Khulna Engineering College and Prof. Dr. M N Azom was appointed as the project director of this initiative. The college started its academic program on 3rd June 1974 in affiliation with Rajshahi University and Prof. Abul Kalam Azad was appointed as the first principal of the college. In the beginning it started with a few teachers but is now home to thousands of students and teachers. During its early years, there was no place for academic and administrational freedom. So several academic and administrational problems were there. Thus, all the teachers and students made an appeal to the government for upgrading the whole system according to the structure of the renowned Indian Institute of Technology (IIT). 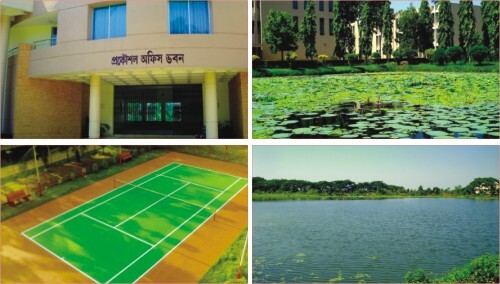 On the basis of their appeal it was converted to an autonomous institution called Bangladesh Institute of Technology (BIT), Khulna in July 1986 through an ordinance of the Government of Bangladesh with a view to providing more opportunity and autonomy for the improvement of the quality of higher education. The institution was converted into Khulna University of Engineering & Technology (KUET) on September 1, 2003 as a public university. Prof. Dr. Md. Nawsher Ali Moral was the first appointed Vice Chancellor of this university. For 34 years now KUET has been a leading engineering university of Bangladesh. 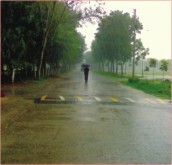 The campus is situated at Fulbarigate, 11km North from the Khulna city and beside the Khulna Dhaka highway. The university campus sprawls over an area of 101 acres. Tastefully laid out with beautiful plantation and with buildings of various nature and stature, the campus presents a spectacle of harmony in architecture and natural beauty. The campus is fully residential providing a comfortable social life. It provides several essential amenities for community living including mosque, medical center, shopping center, bank, post office, auditorium and playground. Currently there are 8 Engineering departments and 4 other relevant departments with more than 2000 students. 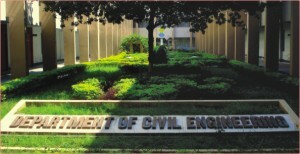 The Engineering departments are Civil Engineering, Electrical and Electronics Engineering, Mechanical Engineering, Computer Science & Engineering, Electronics and Communication Engineering, Industrial Engineering and Management. Two new departments have been introduced in the post graduate level in May 2007. They are the Department of Energy technology and Department of Bio-Medical Engineering. KUET has a large central computer centre with all modern facilities. It has its own server for providing Internet facility and has a campus wide optical fiber gigabyte backbone network. books and 5000 journals and periodicals in its collection. A modern automation process improved the facilities of the library. Every year this library is also enriched by the inclusion of recent books and journals.KUET has a total of 35 laboratories to perform various experiments and to conduct research work. For the accommodation of the students there are 5 residential halls for the male students and one for female students. Because there is a scarcity of pure drinking water in the Khulna zone, KUET has its own water treatment -plant . KUET have different facilities for research work. Environment, soil, hydraulics, structure, mechanics, heat transfer, fluid mechanics, energy, aerodynamics, machine, electronics, control system, various software development, artificial intelligence, communication and layout are the major fields in the research area. Some large and significant project and research work is also being carried out with foreign participation. As a university its achievement was being able to keep itself fully free from political violence and session jam to uphold the spirit of maintaining a good academic atmosphere. The teachers and students here have a very congenial relationship amongst them. As a result the academic activities here are also very active and administration is free of corruption. The achievement of a university partially depends on how its students contribute to the country. In this light it can be said that KUET is one of the most successful universities in the country. Graduates from KUET work all around the country and abroad in many renowned companies. Many engineers from this university have internationally recognized papers and many of these thesis papers are actually of very high quality. Many student projects from this university have earned fame for their functionality and low cost. In the educational sector of Bangladesh KUET is believed to have played a vital role. In Bangladesh the technical education grading system was first introduced in KUET in 1987. Among the Engineering Universities in Bangladesh department wise independent examination was also first introduced in KUET. This step helped reduce session jam to a great extent. In 1998 KUET first started the “course credit” system. Students of KUET also involve themselves in many extra curricular activities. Students of the 2005 batch, Department of Mechanical Engineering formed a foundation named “ME 2005 Welfare Foundation” to assist the needy students. There is a blood donation group formed by the students working under the name of “DREAM”. They collect blood from the students and supply it to the patients in cases of emergency. The students have formed their own theatre group that presents enjoyable shows. A film society -“KUET Film Society” is also very active in the campus, which arranges shows in the university auditorium. KDS, the KUET Debating Society also gives the opportunity to the students to express themselves and convey their thoughts on different vital social issues. KDS secured the second position in the inter university debate championship in the year 2005. An Astronomical Association is also working here to encourage the interest in astronomy among the students. Different sports event competitions and study tour is arranged under the banner of these associations. Thus KUET projects the idea of a model institution leading its way in the arena of engineering and technology. 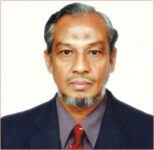 Professor M Nawsher Ali, PhD is the Vice Chancellor of the Khulna University of Engineering and Technology. He joined as a Lecturer in the Department Of Mechanical Engg. In February 1974 in the then Khulna Engg. College (at present KUET). He joined as a Professor in 1992 in the same Department and also served as Director, BIT Khulna. During his tenure he served as Hall Provost, Advisor of students welfare, Director (P & D) and Dean, Faculty Of Mechanical Engineering, KUET. About 40 Technical papers written by him have been published in various national and international journals. He started the research on Bio-Energy in 1993 funded by the Ministry Of Science & Technology, Bangladesh and later continued his research as a member of Asian Research Team on Development and Dissemination of Improved Bio-mass Briquetting System and Briquetting Stoves under RETs in Asia Program: A Regional Research and Dissemination Program , sponsored by (SIDA) & executed by AIT, Bangkok , Thailand since 1996. In an interview with Jamil-ur-Rob and Abdullah Al Jannat Newaz, two students of KUET, Dr Ali has spoken about the various aspects of the different programs in KUET. Star Campus(SC): KUET (Khulna University of Engineering & Technology) is celebrating its 34th anniversary. It has come a long way since its inception. Tell us about journey in this institution and also your feelings about this glorious moment. Prof. Nawsher Ali (PNA): Khulna University of Engineering & Technology started its journey (academic programme) in 1974 as Khulna Engineering College. 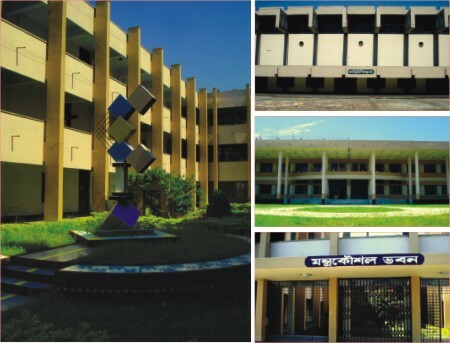 Due to the ongoing demand of technological knowledge it was converted as a technological institute called Bangladesh Institute of Technology (BIT), Khulna in 1986. In order to cohere with the advancing technology and engineering development throughout the world and to create opportunities in modern technologies, research and higher studies, BIT, Khulna was upgraded to Khulna University of Engineering & Technology through a government in 2003. Since its inception it has been playing an outstanding role to create technologically skilled manpower for the country. In spite of various adversities and restrictions, the university has dignified itself as the only public engineering institution without session jams. The engineers of this university are now working with good reputation in home and abroad. Since its inception in 1974, I am with KUET and I feel honoured and proud of it. SC: What do you think are the key achievements in terms of academics and research in KUET? PNA: The key achievement in terms of academics of this university is the production of qualified engineers in an environment free of session-jam. The contribution to this goes to the faculty members, students and other employees of this university. The administration could convince the students (in other way, the students have understood) the benefits of session-jam less education. The achievement of quality education is due to the qualified teachers, staff and efforts of the students. At present there are more than 35 faculty members in various departments with Ph. D. degree and more than 50% of them have post-graduate degrees. This is envisioned from the employment of the out going students of this university. In addition to the regular research program in post-graduate level, there are provisions for research activities of the faculty members. The university authority, from its own fund, started sanctioning research grants from the 2006-07 fiscal year. Although there is a limitation to the budget, grants are allotted according to the proposal submitted by various faculties. Besides this, the faculty members apply for research grants to University Grants Commission and to the Ministry of Science and Technology. Some projects have been carried out in this university by them which are financed by international community like, European Commission or SIDA etc. SC: What future plans do you have for research and academics? PNA: The future plan for research is to enhance the scope of research activities. For that sufficient fund is necessary. Also funds are necessary to purchase modern and sophisticated equipments which are essential for research work. Opening of one undergraduate department (Leather Engineering) and three research centres are in consideration of the government. Obviously, this will increase the scope of research activities. We believe that the government will provide sufficient budget for these in the future. For academic development, the course and curriculum should be updated time to time to cope up the modern need of the society and the nation. The teacher-student communication should be enhanced. Proper counseling can do this. At the same time students are advised to be attentive to their studies so that they can face the challenges of globalisation. SC: What is the current state and future plans for students' welfare (accommodation, food/scholarship, extra-curricular activities) in KUET? PNA: Accommodation: At present there are six residential halls in KUET. Five residential halls can accommodate 1220 male students and one 3 storied female hall can accommodate 168 female students. The present capacities of all the residential halls are 1388. The total students of this University are about 2400. We can accommodate 70% students in the residential halls. 30% students are staying outside the campus. We have proposed a new hall for the accommodation of 500 male students and the vertical extension of the female hall from 3-storied to a 4-storied hall. If the government approves the proposal, we can fulfil our present demand. We have already submitted a proposal to the UGC for a new department named Leather Technology Department for the admission of the undergraduate students and to convert two post graduate department named Energy Technology Department and Bio Medical Engineering Department into undergraduate departments. Extra Curricular Activity: Each residential hall has a common room, reading room, guest room and library. There are cable TV and indoor facilities in the common rooms of the residential halls for recreation of the students. Library facilities of the halls are limited. In future we have a plan to increase the library facility of the halls for supplying reading materials for all students. Indoor and outdoor sports facilities are available for refreshment of the students in the university premises. Inter hall indoor and outdoor sports and the DSW office organizes annual sports every year. Outdoors the respective departments every year organize sports competitions of different year of different departments. Indoor and outdoor games, cultural activities of the halls are held every year. There is a gymnasium in the university and it is open for the students from 6 am to 8 pm. The facilities of the gymnasium is not good enough and so we have a plan to increase it. 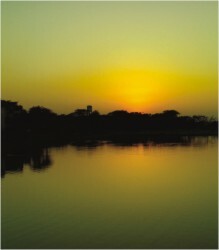 University magazine and hall magazines named Barshiki are published regularly. We have submitted a proposal to the UGC for a new office building that includes a gymnasium, a basketball and a badminton court respectively to increase the recreation facilities of the students in the campus. We have a plan to set up a swimming pool for the students in the campus in near future. SC: How do you evaluate the upcoming conference - ICCIT 2008, considered by many to be the largest International event in the history of KUET? PNA: The 11th International Conference on computer and information Technology (ICCIT-2008) will be held in KUET on December 25-27, 2008 organized by the Faculty of Electrical and Electronic Engineering. For the first time this distinguished conference will be commemorated outside Dhaka. This is challenging for KUET to provide excellence in arranging such a summit of scholars and researchers as none of its previous events was held in-campus. KUET has excellent history for hosting national conferences and seminars but this is the first time KUET is organizing an international conference. 158 out of 534 submitted papers were selected for the conference proceedings having an excellent 29.5% acceptance rate. 42% of the authors form abroad will be accompanied by 58% of authors from Bangladesh. The papers will be published in IEEE Xplore. Selected papers will be placed in 5 distinguished and well-recognized journals. The opportunity of extending the conference paper up to 30% and placing it to the journals is offered for the first time as well. Moreover two workshops- Internet and distributed Computing Systems (IDCS 2008) and Data Mining and Artificial Intelligence (DMAI 2008), organized by the University of Melbourne and the University of Central Queens land respectively, will be hosted by KUET in conjunction with this conference. Such arrangement of workshop will be first in the history of ICCIT. Six distinguished scholars and researchers form the universities around the world are augmenting the value of the ICCIT 2008 as keynote speakers. SC: Where do you see KUET five years from now? PNA: KUET is committed to provide quality engineering education. It is also responsive to the emerging challenges to the rapid technological advancements. KUET is dedicated to nurture and create world-class engineers imbued with ethical values and competence to face the competitive field of engineering and technology. We know we may be poor in terms of money but we are never poor in terms of merit. What we need from now on is to develop our research facilities and enrich our laboratories. We can make a road map of five years planning but we are not sure that we will get our expected budget. Here is the problem that we face. We all know the economical condition of our country. We know we have some drawbacks but we are confident to make use of the maximum of our potentials. We want to establish KUET as the centre of excellence. To fulfil this task we need adequate budget from government. To reach the goal we are working hard. Two more departments have already started functioning soon after KUET started its journey. They are ECE & IEM departments. Besides two more departments will intake students very soon. They are Energy Technology & Bio-Medical Engineering departments. In the mean time Syndicate of this University has approved to open two departments and three institutes. They are department of Leather Engineering and Urban and Regional planning. The institutes are Institute of Disaster Management, Institute of Information and Communication Technology & Institute of Power & Environment Technology. We have further plans to open the following departments gradually. These departments are not indicated in the organogram, but we have high hopes to introduce these departments for the future students. They are as (i) Department of Textile Engineering & Technology (TET), (ii) Department of Geo-Environmental Engineering (GEE), (iii) Department of Architecture (Arch), (iv) Department of Building Engineering (BE), (v) Department of Mechatronics Engineering (Mec. E), (vi) Department of Water Resource Engineering (WRE), (vii) Department of Ceramic Engineering & Technology (CET), (viii) Department of Food and Nutrition Engineering (FNE), (ix) Department of Chemical Engineering (Ch. E). May Almighty Allah grant us to fulfil our dream to make KUET a unique education centre.